It is an honor to share with you highlights of Hampden-Sydney College's 2017-2108 academic year and our optimism for the future. Once again, the College enjoyed a year of achievement and growth, thanks to the generous support of our alumni, parents, and friends. In every way, the 2017-18 academic year was a year of accomplishment for the College, but we take the particular pride in the accomplishments of our Hampden-Sydney students. We began the year by welcoming the class of 2021 to our student ranks and ended the year by welcoming the Class of 2018 to our alumni network. It is worth noting that 94 percent of our May graduates earned their degrees in four years-a rate far higher than the national average. While numerous graduates went on to prestigious graduate and professional programs, the starting salaries of Hampden-Sydney men entering the workforce averaged over $50,000. Several individual accomplishments illustrate the intellectual and athletic success that our young men experience in their years on the Hill. For example, a rising senior received the Goldwater Scholarship, the nation's most prestigious undergraduate award in the STEM disciplines, while four of our varsity athletes won All-American honors for their talent, discipline, and sportsmanship on the athletic fields. And as proof of the College's continued efforts "to form good men and good citizens," the Hampden-Sydney ethics team defeated our rivals from Ashland in the final round of the Virginia Foundation for Independent Colleges Ethics Bowl, marking Hampden-Sydney's third consecutive victory and our fifth win in seven years. The College itself continued to grow, with strong recruiting efforts that defied trends in higher education by increasing enrollment, maintaining our excellent academic profile, and increasing net tuition revenue. The addition of new academic majors like biochemistry and engineering physics and the dedication of two beautiful campus spaces provided our students with increased academic, social, and extra-curricular opportunities. The renovated Brinkley Hall (formerly Winston Hall) blends modern design and historic architecture to provide a fitting home for the College's fine arts offerings, while the new Brown Student Center provides increased access to critical student services like the Ferguson Career Center and the Flemming Center for Entrepreneurship and Innovation. The College also broke ground on the new Center for Rhetoric and Communication, with an expected completion date in early 2019. I am also pleased to report a successful year on the fundraising front, with new records set for the Hampden-Sydney Fund, endowment dollars, capital dollars, and total dollars raised. Our highest priority is to ensure that future generations of young men have access to the benefits of the Hampden-Sydney educational experience, and a $4 million commitment this past year from the Carpenter Foundation challenges us to raise substantially more endowment for scholarships. We made substantial progress on our Promises Fulfilled endowment campaign, with cash donations and commitments now totaling over $31 million toward our goal of $50 million. The targeted nature of this campaign will generate momentum as we move directly into a much more ambitious campaign that will coincide with the 250th anniversary of the College. These highlights provide but a snapshot of the past year's accomplishments thanks to the generosity of our supporters. 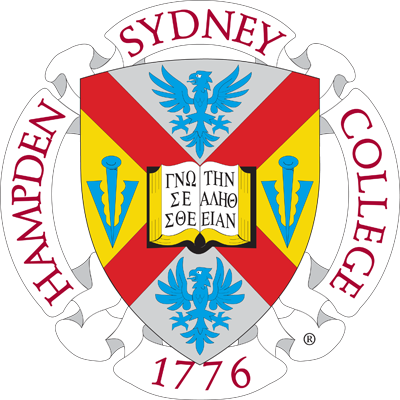 I have many hopes for Hampden-Sydney College, but my greatest hope is that you believe, as I do, that the College's mission "to form good men and good citizens" is worthy of your enthusiastic support and devotion. With your help, all of our goals are achievable.